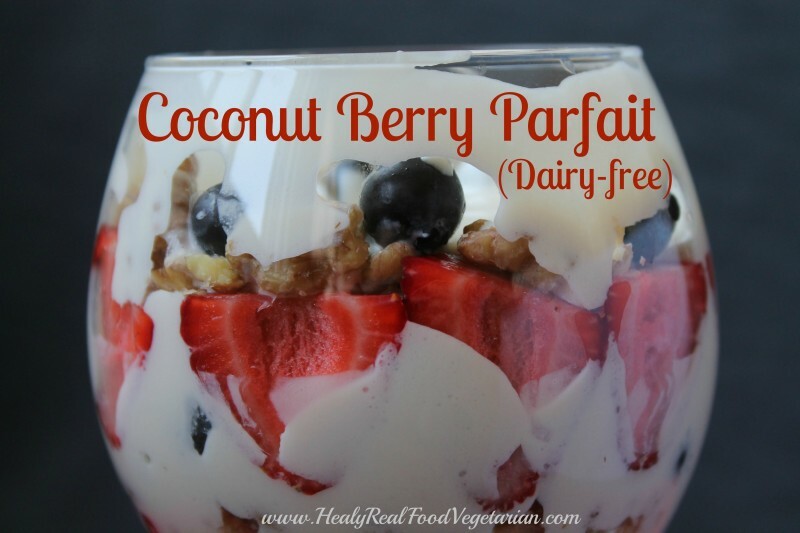 This rich and creamy coconut berry parfait is a healthy yet decadent dessert. The texture of the fluffy coconut cream is delicious! Serve at a dinner party or for an intimate meal. 1. 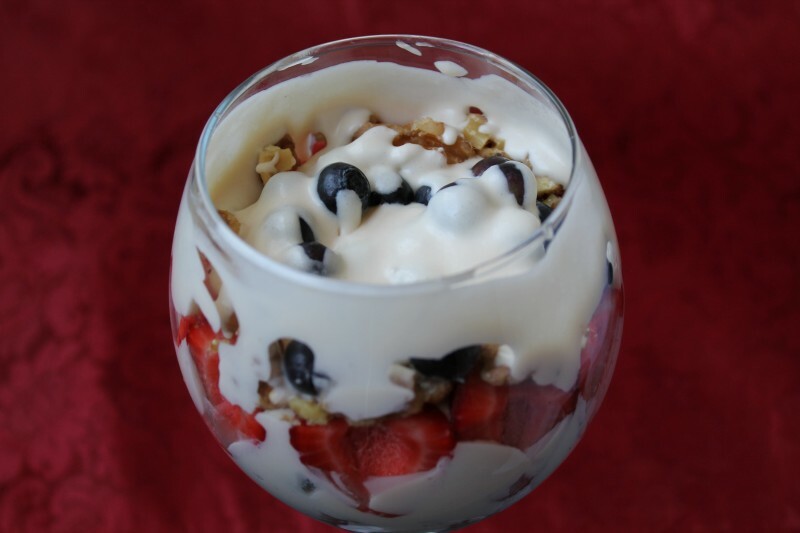 Put a can of coconut milk in the fridge overnight so that the cream rises to the top. You can also purchase just coconut cream. To whip the coconut cream put in a bowl with coconut sugar and vanilla and blend with a whisk mixer until it’s fluffy. You can also lightly whisk it with a hand whisk, but it will be a little less fluffy. 2. 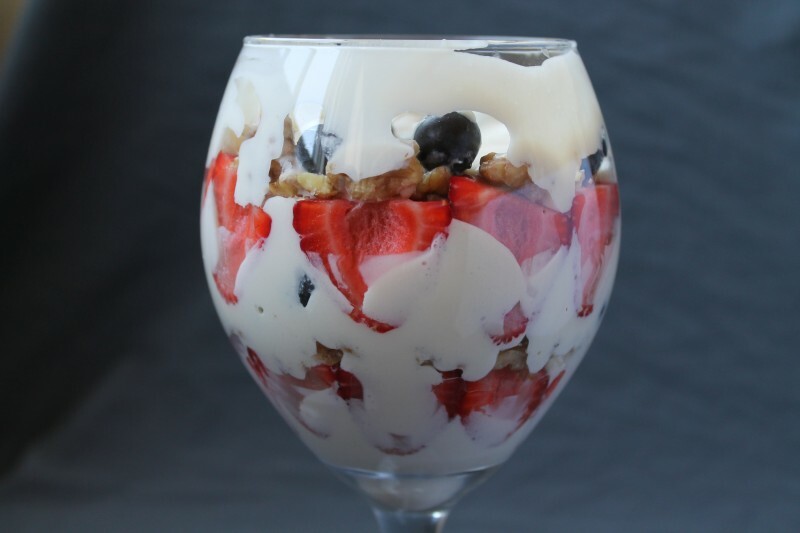 In a glass (I used a wine glass) put a layer of coconut cream, then add chopped strawberries around the edge, top with some blueberries and walnuts. Repeat this layering until all ingredients are gone! Looks delish! I’m trying this recipe this week!